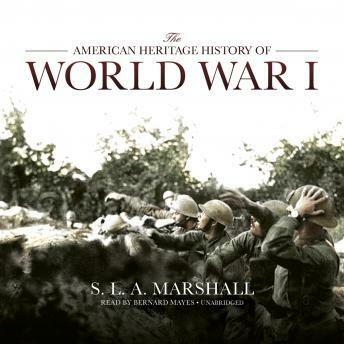 Drawing on a lifetime of military experience, Brigadier General S. L. A. Marshall, "one of our most distinguished military writers" (New York Times), delivers this unflinching history of the war that was supposed to end all wars. From the perspective of more than half a century, Marshall examines the blunders and complacency that turned what everyone thought would be a brief campaign and an easy victory into a relentless four-year slaughter that left ten million dead and twenty million wounded. As the war raged on, more efficient methods of war-making were devised: the flamethrower and poison gas were added to the world's arsenals, tanks replaced cavalry, air combat and submarine warfare came into their own. And at the end, the exhausted combatants signed the Treaty of Versailles, which laid the groundwork for the dictatorships that would plunge the next generation into another world war.